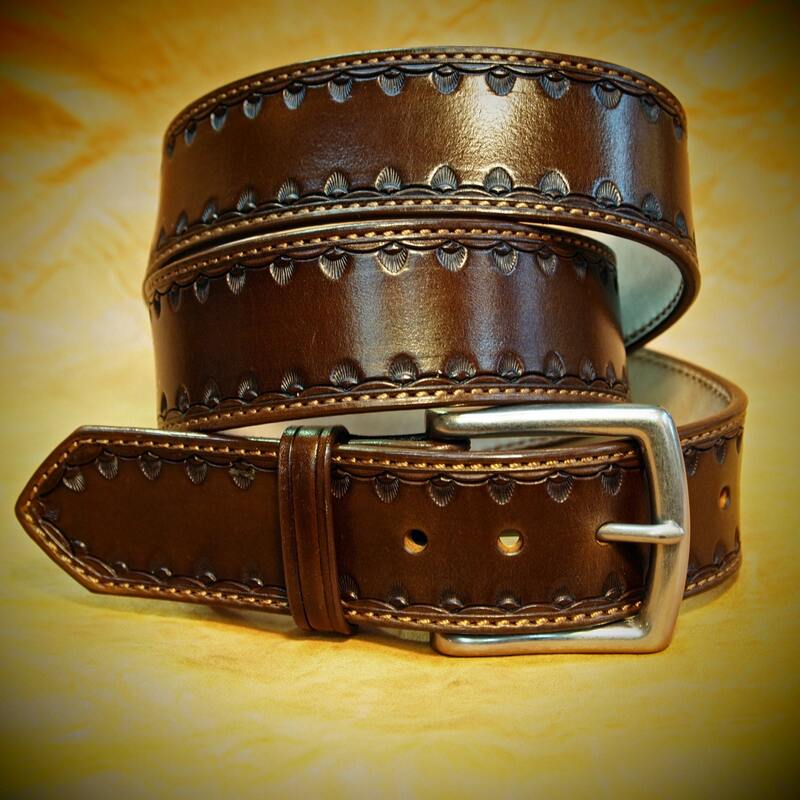 This brown leather belt is made using natural vegetable tanned leather. It is hand tooled with a delicate western border and dyed a rich walnut brown. It is fully lined in beautiful calfskin and stitched. The edges are hand beveled, hand slicked and sealed, and a beautiful matte silver buckle closes it up. 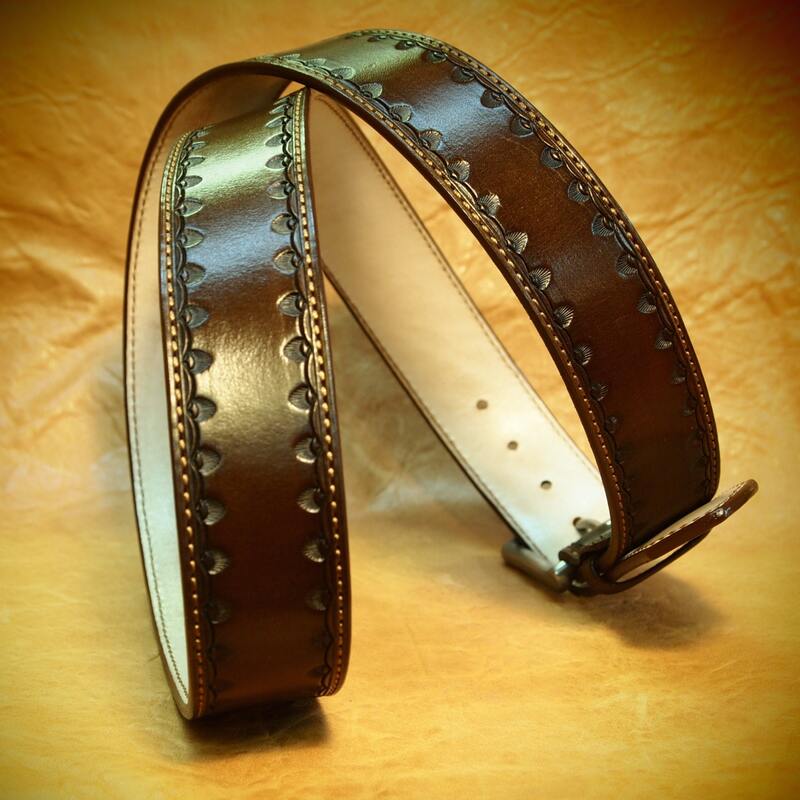 A classy dress belt with a little retro western edge! I need a measurement from your existing belt! See pic. 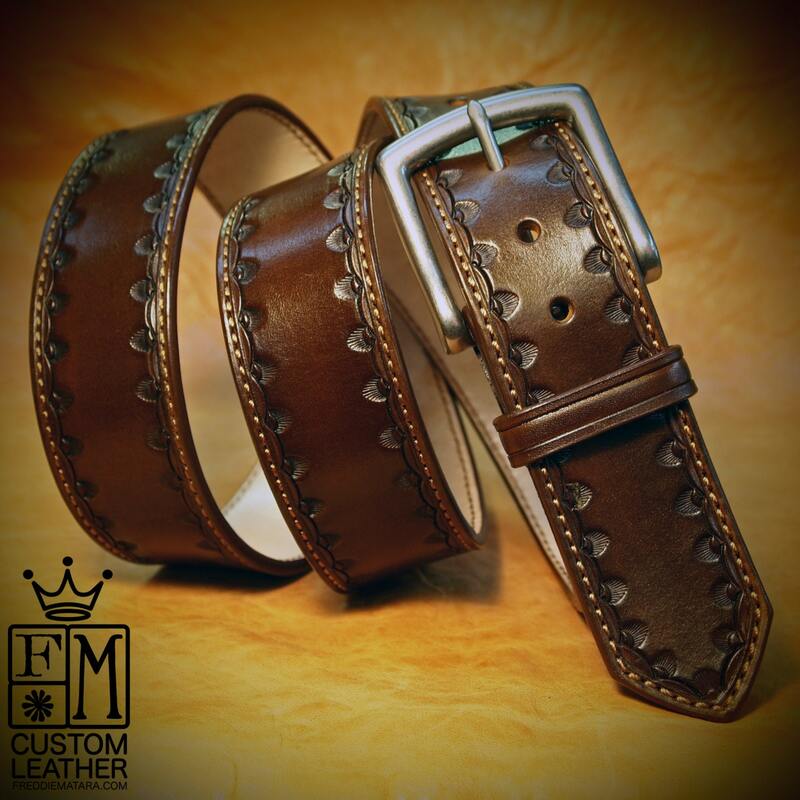 Measure from the hole you use to where the leather meets the buckle.